CHRISTMAS ISN’T There are a vast number of gadgets and devices you can get for yourself or your friends/family. Not everyone can just spend hundreds on a device so we’ve rounded up not only the best products from certain categories, but equivalents for those who are on a tight budget. Apple’s own set-top box brings with it a whole range of new features like Siri integration, a motion-control remote with touchpad and an app store that will be filled up with apps and games. If you want streaming capabilities but balk at the idea of buying an Apple product, then the Roku range is a good substitute. It features all the major streaming services here and a few nice touches like listening to shows through headphones so you don’t disturb others and expandable storage via microSD slot. The new Chromecast is out and there are a number of small improvements that make it an essential purchase. On top of its portable nature, it now works with 5GHz WiFi connections and is generally more convenient than the original. A great alternative to other streaming services. With the ability to wirelessly stream audio from your phone, tablet or computer, Sonos’s device is still one of the best out there. Great sound quality and easy to set up, it’s able to detect if it’s standing vertically or horizontally and adjust the audio to suit it, making it one of the more versatile speakers out there. If you’re looking for a way to keep costs low but still want a dedicated speaker, Sony’s Bluetooth offering is worth a look. It delivers some great sound for its size, good battery life and a number of other small features that make it easy to use. What better way to make your ordinary speakers wireless than rely on Google’s own device. The audio version works with the likes of Spotify, Google Play Music and TuneIn Radio and is incredibly handy for getting the same benefits without paying huge sums. Sphero probably wasn’t a company you would have heard about until recently. 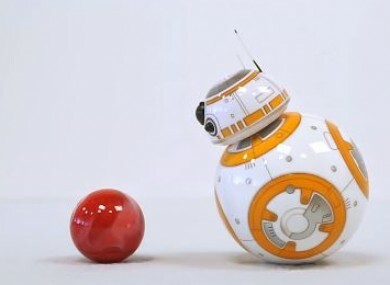 Its RC sphere that you control with your smartphone had a core audience but its partnership with Star Wars has turned it into one of the must-have toys. Drones’ aren’t necessarily airborne and Parrot’s minidrone is a great one for the price. A wide-angle camera lens on front gives you a livestream of what it sees and it can handle whatever you throw at it. It’s also able to jump at up to 2.5 feet and can perform some deft manoeuvres too. Who doesn’t like paper planes? This combines that with an electric motor that you can control with your smartphone. Just fold the paper, attach the motor and let it fly for up to ten minutes. Yes they’re pricey but you get what you pay for. 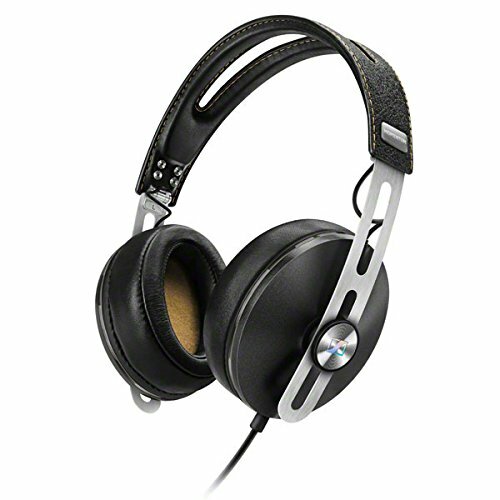 Incredibly comfy to wear, fantastic sound and a built-in microphone so you can take calls on your phone, it’s shows why Sennheiser is one of the best out there. As far as Bluetooth headphones go, Jabra’s offering is certainly worth a look. The sound quality is great considering the price point and they’re comfortable and light to wear that you can wear on the go. If you’re not exactly keen on spending that much on headphones, then Skullcandy’s wireless offering is worth a look. Good quality, no wires and light, it’s a no fuss, simple pair of headphones that you will get a lot of value out of. Despite it starting at only 16GB storage, the iPad Air 2 is still one of the best tablets you can get out there. Sleek, sharp and packed with quality apps, it’s still the standard for tablets out there. While the S2 is on the way, Samsung’s original Galaxy Tab S is a fantastic device since it’s only a year old. Sharp screen, great hardware and a decent price for the specs means it’s worth getting if an iPad Air 2 is out of reach. Just be aware that there’s a 10.5-inch version which is more expensive. There is a major caveat with using the Kindle Fire. Since it’s an Amazon product, it’s very much skewed towards its own products, but it’s still one of the best budget tablets to get even if you can’t access Google Play. Amazon’s App Store tends to have free bundles regularly and provided you’re not picky about apps, you’ll find it works. Although treat this as a try before you buy. You’ll be paying quite a bit for this, but what you will get is a quality drone that will be able to capture HD footage and comes with an inbuilt flight system that ensures it’s stable and in control when it’s in the air. This quadcopter is small, lightweight and durable meaning you can carry it around with you. It comes equipped with a camera that captures decent picture quality and is more about ease of use than anything else. While you can control it with your smartphone, you can purchase a separate controller if you want to take flying a little more seriously. The Parrot is small and isn’t going to travel far any time soon, but as an introduction to the world of drones, it’s one of the more accessible options out there. Controlling it through your smartphone takes a bit of getting used to but there are beginner controls to help you get to grips with it. While the new Macbook Pro devices are out now, it’s Dell’s XPS range that should be considered first. Despite being light and easy to carry around, the XPS 13 also happens to be a powerful and heavy-hitting laptop that is suited for the heaviest of tasks. A great device at an even better price. Not including the keyboard in the initial price is a downer, but the Surface 3 is a handy device to carry around. It doesn’t quite have the same processing power to match similarly priced laptops but for the convenience factor and the ability to use it as a tablet makes it a solid choice. If all you’re concerned about is having web access and you don’t mind having all your work on the cloud, you can’t really go wrong with a Chromebook and Toshiba’s version is one of the more reliable versions out there. Great screen and speakers, good hardware and a decent battery life will suit those on a budget. To be honest, whichever one you go for will be a matter of preference. Both consoles have their own exclusives, and the gaming catalogue for both is taking shape. Since both are now the same price, it’s really boils down to what type of games you want to play. Both have enough exclusives and overlaps for you to make an informed decision so it’s down to personal preference. With a new Nintendo console in the works, the Wii U is approaching the end of its lifespan, but it’s cheaper than it ever was, and has one of the best first-party catalogue of games out there. Super Mario Maker alone is worth getting one for, but the likes of Super Smash Bros, Yoshi Woolly World and Super Mario 3D World will keep you occupied for a while. Nintendo’s handheld is still going strong and there are some seriously great games on the platform. The Legend of Zelda: A Link Between Worlds is one of the more original games of the series (and you have Majora’s Mask available too), Pokemon X/Y is still as addictive and Xenoblade Chronicles is a great Wii RPG shrunk down to the small screen. The 2DS doesn’t come with 3D capabilities and is therefore a bit cheaper than its fancier counterpart. The 3D effects are worth it though. The first smartwatch from Apple does everything a smartwatch can do; track activities, display notifications, take calls and send messages through drawings. It only pairs with iPhones so if you don’t have one, you should opt for an Android Wear device instead (which have limited compatibility with iPhone). Been around longer than other competing smartwatches, Pebble might work on its own software but it’s compatible with both iOS and Android which gives it an advantage. Its kiddie-like design will put some off but it has a long battery life, has enough space for numerous apps and is a decent alternative to those who aren’t quite sold by Apple Watch or Android Wear (although it’s better on Android than iOS). If you want a device that has enough features to properly track your activity (and can tell the time) then the Charge HR is one of the better options out there. Available in three different sizes, it shows off your daily stats, monitors your heart rate continuously and can be used for caller ID. It’s recommended if you’re starting out with running and need that extra motivation. Email “Looking for some gadgets gifts ideas? Here are some to get you started”. Feedback on “Looking for some gadgets gifts ideas? Here are some to get you started”.